Improving aerobic energy system efficiency is important because the aerobic energy system contributes ~30% of the energy needed during tennis. 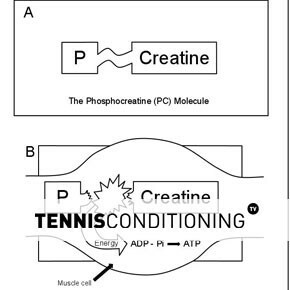 The aerobic energy system can contribute to enhanced performance during a tennis match or training even though tennis is anaerobic energy system dominant. Yet steady-state jogging is an ineffective training method in optimizing aerobic energy system contributions. 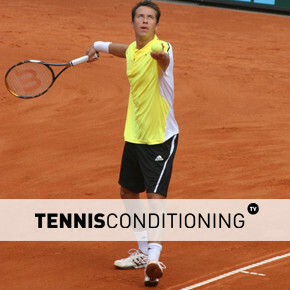 When you takes a closer look at the demands experienced during a tennis match, the tennis sports analysis, then it becomes evident that, from an energy system perspective, tennis is a sport that predominantly relies on anaerobic energy system contributions since you cannot generate a lot of force via aerobic metabolism (aerobic energy contribution). Optimizing aerobic energy system contributions will enhance on-court performance because the aerobic energy system contributes ~30% of the energy needed during higher intensities. 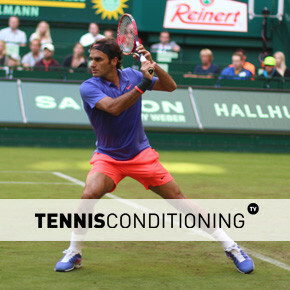 In addition, aerobic energy system efficiency positively impacts anaerobic energy system contributions due to a faster lactate & hydrogen ion clearance, which allows the enzymes to continue to function properly, thereby allowing the anaerobic energy system to supply more energy for a longer duration of time, which has a positive effect on force production capabilities and hence on-court tennis performance. There are numerous ways one can enhance aerobic energy system contributions; we recommend interval training or circuit training as more effective alternatives.